Brought to you by Green Giant®. Developed by Hungry Girl! Bring a skillet sprayed with nonstick spray to medium heat. 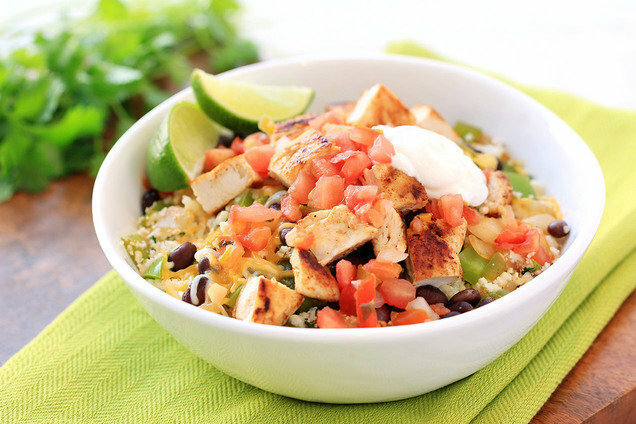 Add Riced Cauliflower, cilantro, and lime juice. Cook and stir until cauliflower is thawed and hot. Transfer to a medium bowl, and cover to keep warm. Pound chicken to 1/2-inch thickness. Remove skillet from heat. Re-spray, and return to medium heat. Season chicken with 1/2 tsp. taco seasoning, and cook for about 4 minutes per side, until cooked through. Remove from skillet, and cover to keep warm. Add black beans, and cook and stir until hot, about 1 minute. Bring an extra-large skillet sprayed with nonstick spray to medium heat. Scramble egg whites/substitute until fully cooked, 3 - 4 minutes, using a spatula to break it up into bite-sized pieces. Transfer to a large bowl, and cover to keep warm. Remove skillet from heat; clean, if needed. Re-spray, and bring to medium-high heat. 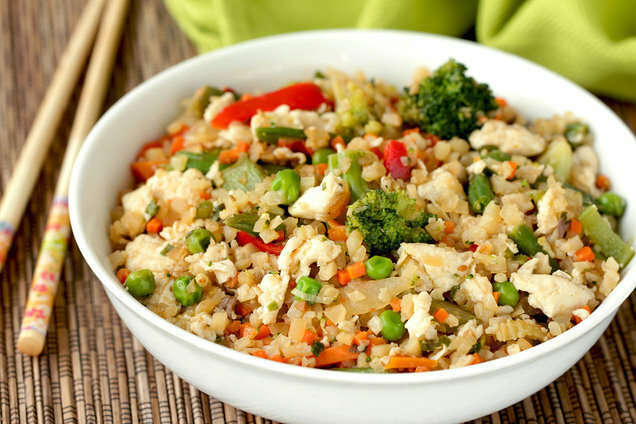 Add stir-fry veggies, Green Giant® Riced Cauliflower Medley, and 1/3 cup water. Cover and cook for 5 minutes, or until thawed. Add garlic and sesame oil. Cook and stir until hot and well mixed, about 4 minutes. Place Veggie Tots on the sheet, and bake until golden and crisp, 12 - 14 minutes. Arrange tots on the center of the sheet, so they are touching. Sprinkle with cheese, and top with jalapeño peppers. 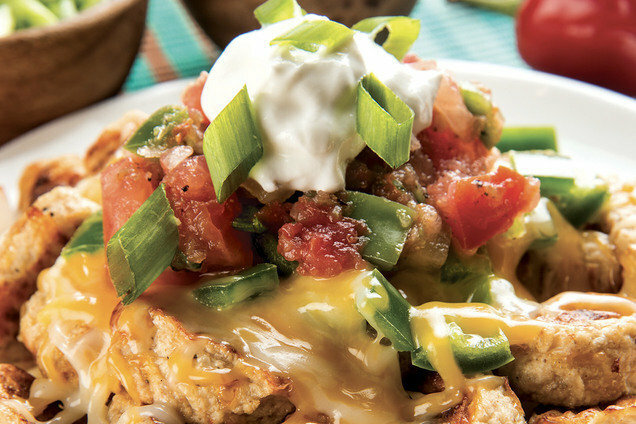 Serve topped with salsa, sour cream, and scallions.